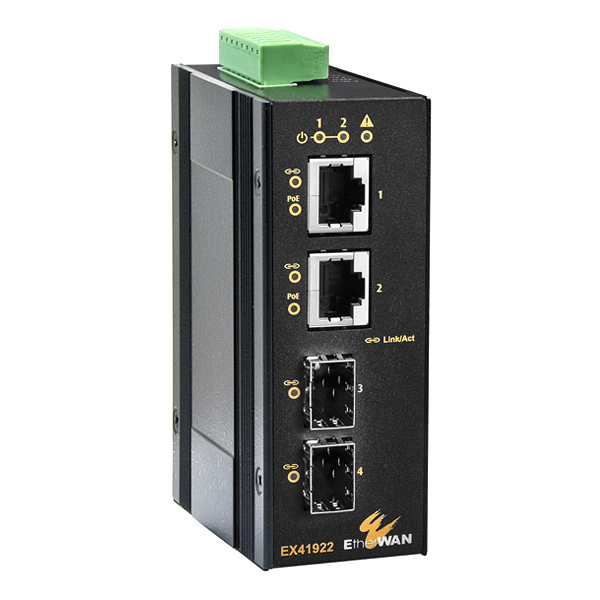 EtherWAN’s EX41922 Series is a compact hardened unmanaged Gigabit switch, designed as an easily deployed platform for peripheral devices in harsh environments. It is a cost-effective option for surveillance systems in extreme climates. The new EX41922-T is equipped with two 10/100/1000Base RJ-45 copper ports supporting Power over Ethernet (PoE), and two 100/1000Base SFP fiber optic slots for long distance connectivity. The two uplink SFP interfaces provide 100 or 1000SFP speed, selected by DIP switch. They can be used in a daisy chain formation, and are compatible with the proprietary Alpha-chain redundancy protocol when used with a compatible EtherWAN managed switch. 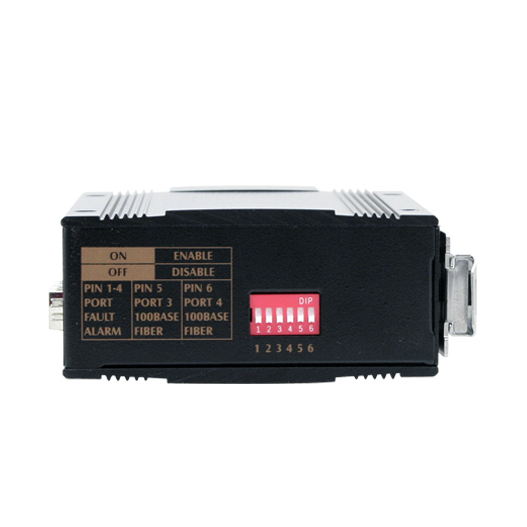 Moreover, EX41922-T provides up to 30 Watts PoE per port with a total power budget of 60 Watts. 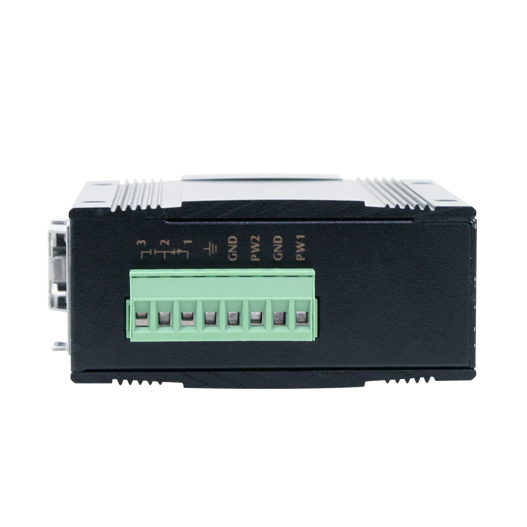 Although unmanaged, the EX41922-T is feature-rich with 10K Jumbo Frame support, full wire speed Gigabit throughput, QoS support, and eco-friendly IEEE802.3az EEE (Energy Efficient Ethernet) compliance. With its hardened specifications, high performance, and energy efficiency, the EX41922-T is a flexible and reliable solution for extended networks.